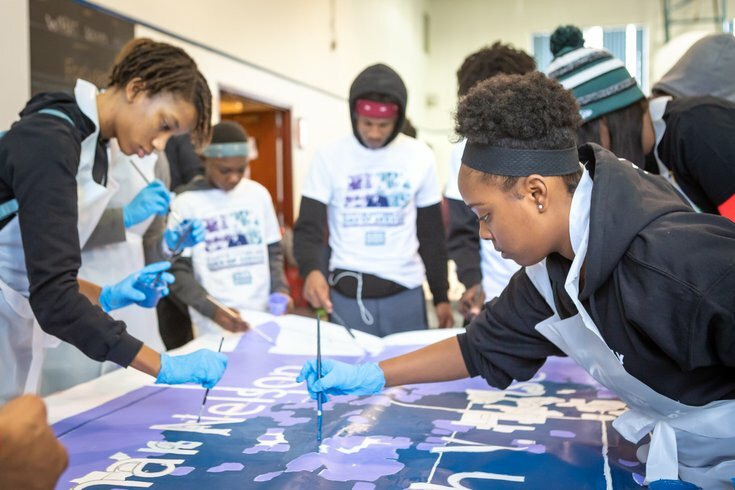 Dozens of youth, including Selam Roach, right, volunteered on Dr. Martin Luther King Jr. Day to help paint sections of the "Stop the Violence" mural at the Dixon House community center in Point Breeze. 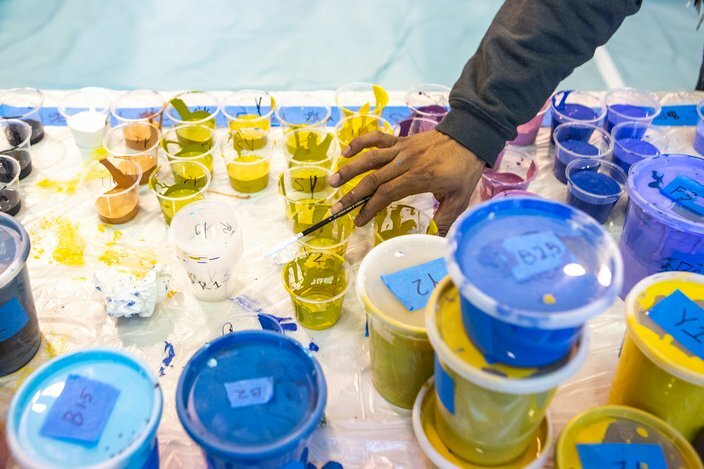 Dozens of adult and youth volunteers attended a mural paint day by Mural Arts Philadelphia at the Dixon House community center in Point Breeze, Monday, Jan 21. 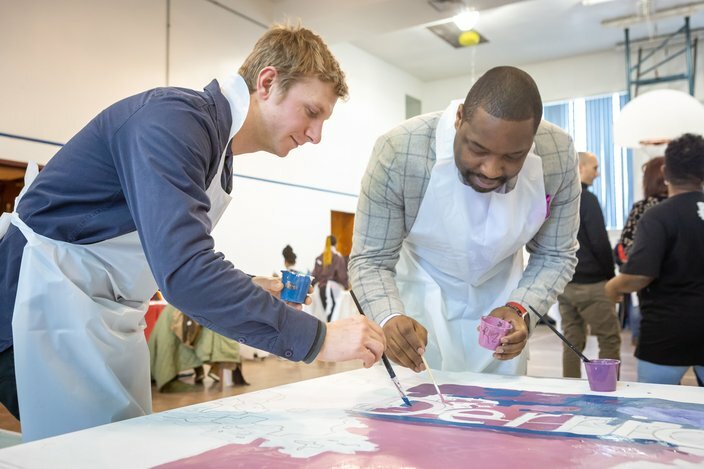 As Part of the MLK Day of Service, volunteers painted sections of the re-envisioned “Stop the Violence” mural by Philadelphia-based artist Felix St. Fort. The mural will be located at 20th and Fernon Streets in the exact location of the original mural of the same name that was recently taken down due to deteriorating conditions. The original mural, painted by Jane Golden and local youth in 1989, was in response to high gun violence at the time that claimed the lives of forty-six youths from the neighborhood and other nearby areas in the city. Chosen by the community, the new design by St. Fort features the same names of those lost to gun violence that were honored on the original artwork, along with many of the original colors. Here are some photos of the MLK Jr. Day of Service mural paint day. 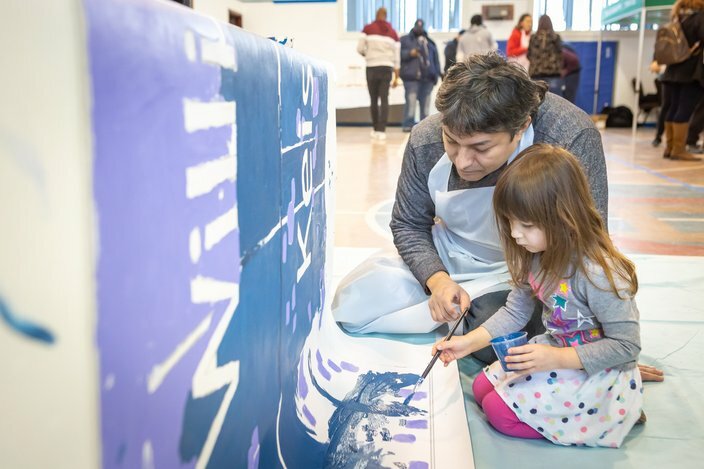 The mural is painted in a paint-by-numbers manner, where sections of the mural are labeled according to their color. 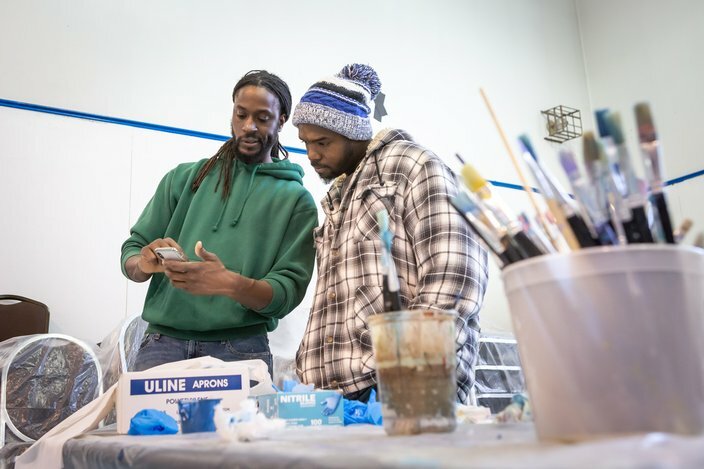 “Stop the Violence” mural artist Felix St. Fort and Shaun Durbin of Mural Arts Philadelphia look at different mural designs during a community paint day on MLK Jr. Day in South Philadelphia. 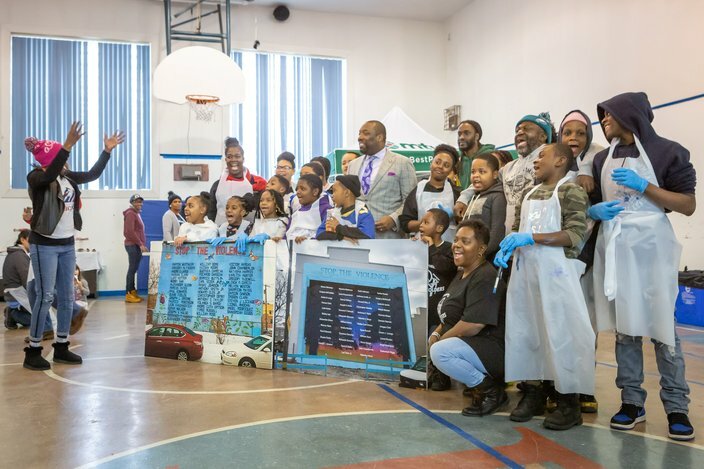 Councilman Kenyatta Johnson, posed for a photo with volunteers that helped paint sections of the “Stop the Violence” mural at the Diversified Community Services-Dixon House in South Philadelphia, Monday, Jan. 21, 2019. 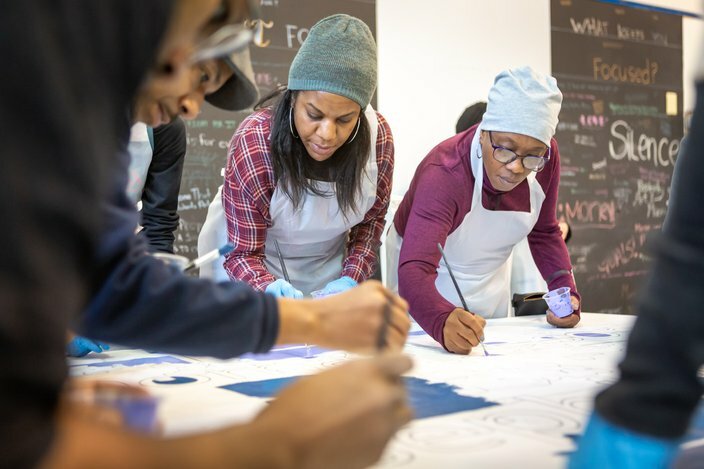 Erica Rhodes of Bicycle Transit Systems, left, and Stephanie Ridgeway, an Indego bike share community coordinator at the City of Philadelphia's Office of Transportation, Infrastructure, and Sustainability, paint a section of the “Stop the Violence” mural on Dr. Martin Luther King Jr. Day, Monday, Jan. 21, 2019.